Given the fact this site primarily reviews radio programmes, I expect we will see a fair bit of James Follet appearing on this site. Through the seventies and eighties he wrote dozens of radio plays, many with an SF or fantasy feel, several are crying out for a decent review. 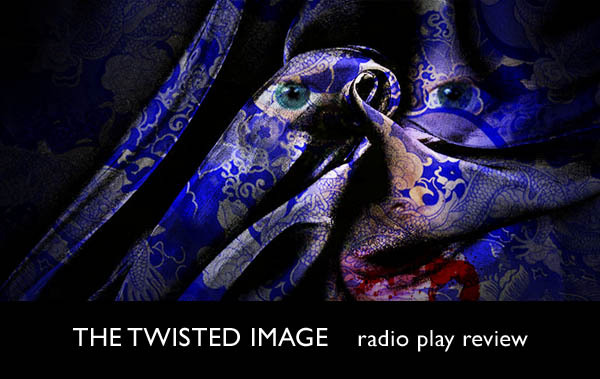 The Twisted Image is a particular favourite of mine, it feels much more like a mood piece and is not dominated by a traditional narrative with a neat ending. Initially it has the feel of an R.D Wingfield play (Douglas Blackwell & Peter Wickham are excellent as the policemen) but slowly it moves in a different direction. My favourite moment is the girl telling the story of visiting the empty shopping estate and seeing the shop dummies in the living fabric centre. For this small section the story steps away from a traditional crime story into the kind of urban dark fantasy popularised by Fritz Leiber (The Smoke Ghost or Our Lady of Darkness) or Ramsay Campbell. The rest of the story is less abstract in it’s presentation but this scene sets an unsettled tone for the rest of the play. I shall not go too much into the strange happenings in the town of Oakhanger as that will remove much of the fun of the story, but time is playing funny tricks and the detectives are given a strange glimpse of the future. The story could easily have ended up like a bad episode of the X Files but James Follett wisely doesn’t try to rationalise the stranger elements of the story, you are left wondering what strange disturbance moved through the town of Oakhanger one night. In that respect it reels more like an urban folk tale told to kids to send chills down their spine. As I mentioned earlier both actors do a great job as the policemen and James Follett’s great dialogue moves the play along swiftly, managing to highlight the strangeness of the situation without making a meal of it. I have several more James Follett plays I would like to review and this one is not typical, it is however my favourite of all his plays. It has a nice disquieting feel which is engrossing throughout whilst carefully walking the line between horror and SF and cleverly avoiding both traps. This was written by admin. Posted on Monday, June 1, 2009, at 11:06 am. Filed under Drama Reviews. Tagged crime, drama, follett, supernatural. Bookmark the permalink. Follow comments here with the RSS feed. Post a comment or leave a trackback.